By Singyin Lee in Social Media. Updated on January 25, 2015 . 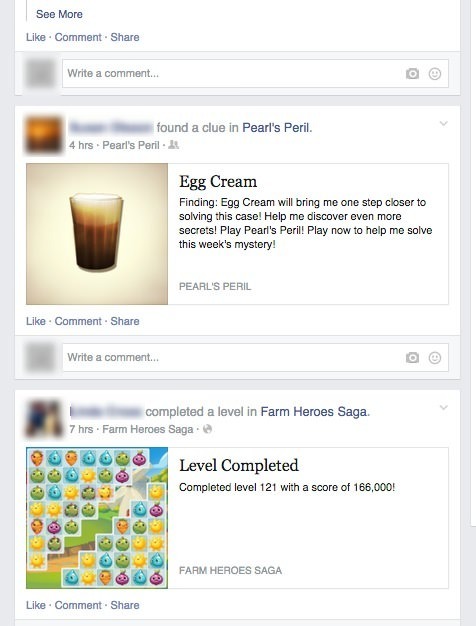 We need to talk about Facebook games. I believe if you’re on Facebook, you are either on the team that plays games, or the team that does not. The former basically taps into Facebook for favors from friends while the latter runs the "Please do not invite me anymore" recording on loop. The bad news is, this is going to keep going on for as long as you are still on Facebook. The good news is, you don’t have to sever ties with friends who "just don’t get it that I do not want to be a part of their Villes". The what-you-should-know news is that whether you play Facebook games or not, there are things that you can do to better manage this. I’m going to split this into two sections where you either (1) don’t play Facebook games or (2) do. Please find your seats. Let’s take a look. 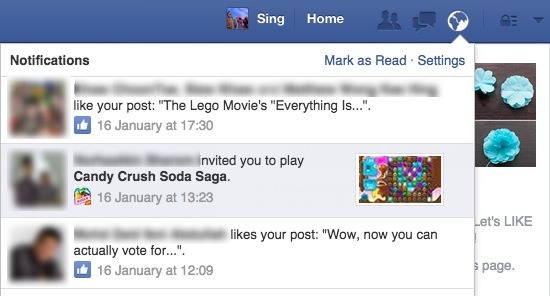 So you get a Facebook notification only to find out that it is an invitation by so-and-so to play games. This is starting to frustrate you because it’s the umpteenth time you have asked your friends nicely to stop doing this. 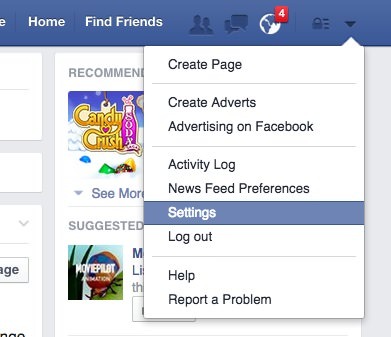 The thing is, for almost all Facebook games, there is the "Invite All" or "Send to All" option readily available. Certain games (but not all) may have collected your friends who are already on the game on a smaller list. In both cases, the urge to be lazy and just send requests to everyone on the list – instead of picking the names one by one – is strong. 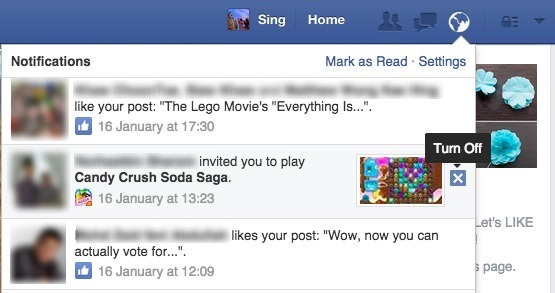 Basically Facebook game players see your messages, but Facebook does not make it easy for them to choose who not to spam – and there is nothing you can make them do about it. But you can stop getting notifications, and stop receiving their updates as well as requests. 1. When you receive a Facebook notification on your desktop, click on the notification icon for a dropdown of all your notifications and locate the game notification. 2. Hover near the right side of the bar and you will see a circle and a cross appear. The circle gives you the Mark as Read option. The cross allows you to turn off notifications. Click on the cross. 3. Click Turn Off. And you will no longer receive notifications from said game. Do this once for each game. 2. To the right of the name of the game, you will find an arrow-down button. Click on it to see a dropdown menu. (1) I don’t want to see this will help you block that single post. 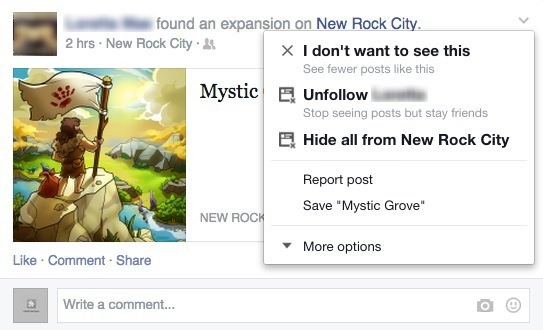 (2) Unfollow [friend] will ensure you no longer see posts from said person, including non-game-related ones. (3) Hide all from [game] will block updates from any friend related to that game. 4. Pick any of the option above. I usually go with Option #3. Note that you will have to do this for each and every game, one at a time. 1. On your Facebook main page, go to the far right at your top menu bar. Click on the dropdown arrow and click on Settings. 2. On the left sidebar, choose Blocking and you will be taken to the Manage blocking section. 3. 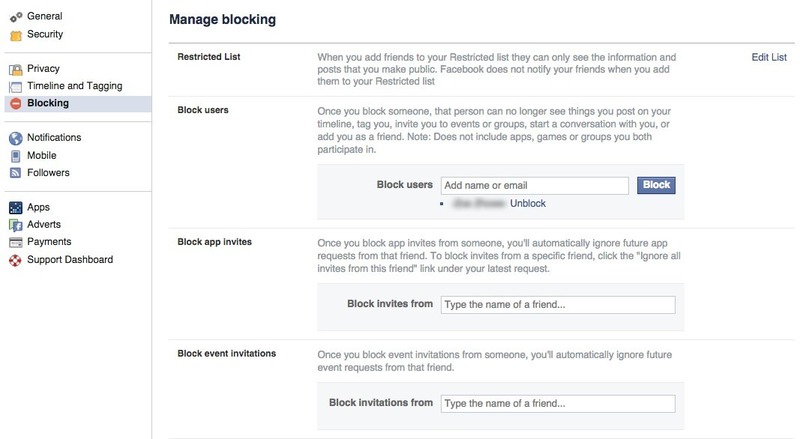 To Block app invites from someone, go to that section (third from the top) and type in his or her name. The field autocompletes so you can click on the person’s name or press Enter. You will no longer receive app invites from that person. Don’t worry, your friends probably won’t notice if you do not respond to their invites. 4. While you’re there, you can head down two more sections to the Block apps section and type in the games you want to block unconditionally. The field autocompletes too so you can take a stab at what the game name contains like Candy or Ville or Pirate, and click the app to single it out. So far so good? Now, share this post with a fellow friend who is frustrated with game gangsters who can’t stop making game requests he or she can’t refuse. I come in peace, and a proposition. 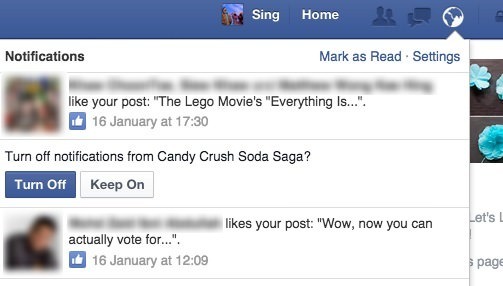 If you want to play Facebook games, do it on a separate Facebook account. All you need is a second email address, which I think most people already have. You get two benefits from this: you get to avoid the wrath of your friends, and secondly you get to tap into a world of Facebook game players who share your level of enthusiasm when playing the same games. They don’t even have to be people you know. 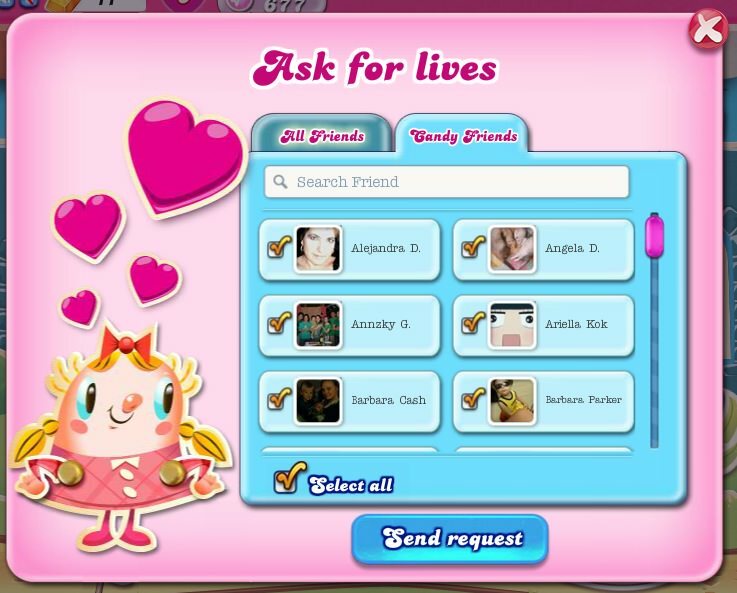 People who play Facebook games usually play multiple games, are active in game forums, and add tons of friends for help and favors to advance in the game. You will feel right at home. There are two drawbacks that I know of. First, you will probably need to start from scratch for most of your games because I do not know if you can unlink your Facebook account from the game and link another Facebook account to it while keeping your most current progress (if you find out, let us know). Secondly, since Facebook has yet to allow multiple account sign-ins on their Facebook mobile apps, you may need to choose which Facebook account to have on your mobile – I’m just going to leave this dilemma here, and move on. Having two Facebook accounts helps you separate your game addiction from what you do outside of it. Sure, there are implications of game addictions but let’s not go into that in this post. Truth is, there are many things you yourself can do rather than just ask people to stop sending game requests and invites – and now that you know, send this to someone who you think may need this.